Travel games can do more than keep your kids from getting bored. I think it can also be used as a exercise in something crazy - that is, the practice of BEING a family. Think about it, when do all of you get together, travel together, be only with each other, and have to compromise with each other all day long? Answer: your family vacation. The thing is, it also sounds like being in a classroom, doesn't it? Classroom learning requires a good amount of "shared attention skills" and so do family vacations. We must all share the attention to remain part of the group and that is one thing games do very well in its own lighthearted but still structured way. Playing games as a group can help a family just "BE" with each other. I'm not used to the group thing myself and I actually develop quite a bit of anxiety before going to any group function, even if it is just my own family that is traveling with me. Still, I do believe that games can ease tensions before, during, and after vacations. Try playing games before your next getaway. See what happens. Here are some suggestions. This review pays special attention to the little ones but still has fun games that cater to all ages. The Family of Mental Gymnasts: Swish JR. Play poolside. Why not? Unlike paper cards, they are waterproof! Can you see how these two cards would make a Swish? It's way easier than original Swish. 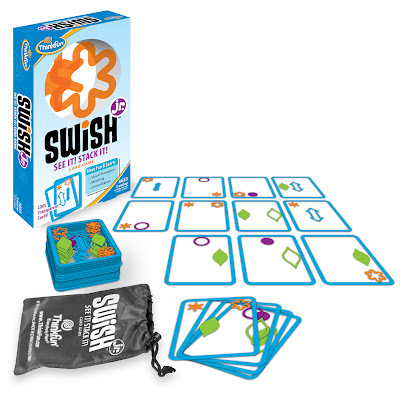 I have to thank ThinkFun and the two math teachers from Israel who made Swish. Number 8 (Number 7's little brother) loves this game. The thing I really love about Swish Jr. is this. They are still inviting you to do the flips all in your head BUT, they have made it less confusing by using different shapes instead of the circles and dots in Swish (Senior). Number 7 and 8's mom usually carries Swish Jr. in her purse and plays it with him whenever they are waiting for big brother to come out of martial arts class. The side benefit is that a kid is exposed to counting by tens in a very fun way! 10-20-30-40-50 if you get your frog in the lily pad. I have always loved those hopping frogs that you press and they bounce up high. I don’t know why it is so fun but it really is! 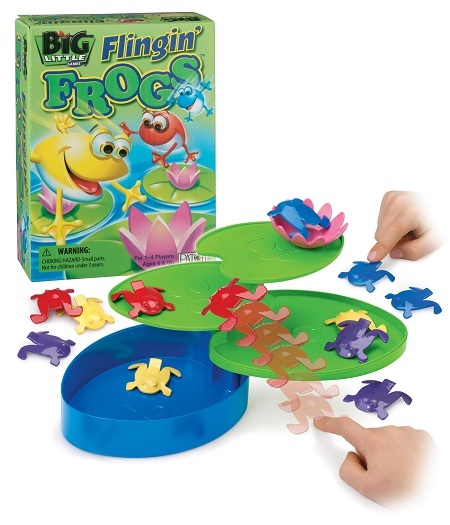 But here is what is really cool about Flingin' Frogs, it is easy and at the same time, at least for me that is, unless you play it consecutively for an hour, you really don't have too much control of your frog. Even though it doesn't look that unpredictable, there is definitely that element and it is delightful! I think kids can sense that too and so while it’s not naturally a game of chance, it sort of becomes one and that eases the tension. It is also possible that a kid can beat a grown up! It's really so simple, there are no explanations needed. 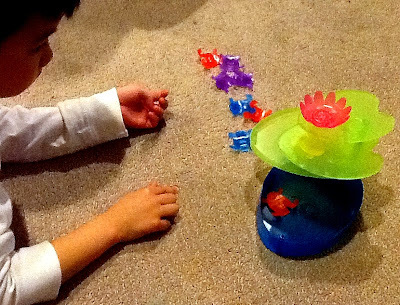 You get four different color frogs (3 of each color), you can easily set it up and then you play! Lastly, unlike other plastic frogs I've flung, Patch Products makes a very well-designed frog that is noticeably stiffer. That means more finger strengthening, less bounce, and more accuracy. If your frogs keep flying everywhere, you lose momentum and your kid's attention. 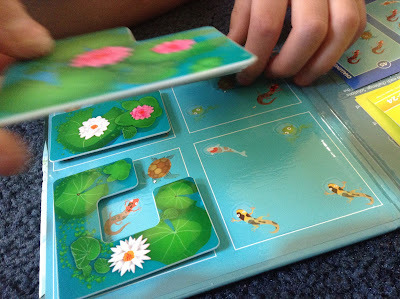 Thanks to West Side Kids, where I had purchased Flingin' Frogs, for carrying such great games. What is really funny is that one flingin frog can knock another one off the lily pad. NO ONE IS SAFE! HA! How cool is this? It all fits inside! But I made a little drawstring pouch for it because I don't want to lose any frogs in case it pops open in my bag. Truth be told, it's not necessarily a travel game but it comes with us on family vacations. 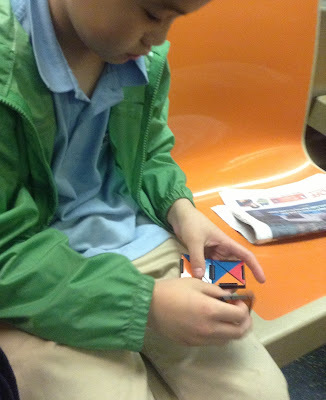 More than One Solution: Math Dice JR.
What a smart idea for travel, a cloth game-playing surface. That means you can take it anywhere and it won't be the end of the world if it gets wet. I think I understand why kids like dice so much. Dice rolling is a highly anticipatory act. You are naturally inclined to want to add quickly when you see it which is likely not the response you'd get from say... a worksheet. But from a multi-sensory standpoint, it has tactile and visual input. 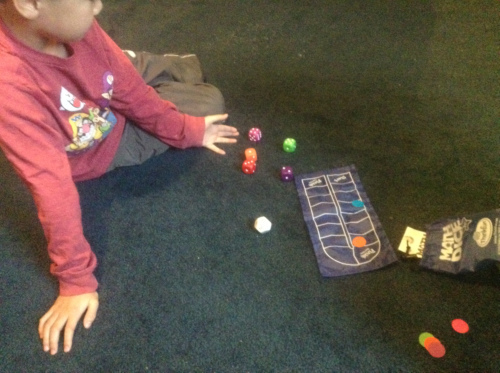 The dice are a lot bigger which makes counting them much much easier. You know, like how we use bigger font for little ones. Oh, and like Swish Jr., Math Dice Jr. maintains a regular spot in Number 8's mom's bag. They bought their game before X-mas. I really respect the tester moms (like #7 and #8's mom), she works a full day and then takes the kids to martial arts class. She must be exhausted at this time but instead of handing over electronic entertainment, she is there, playing Math Dice with her four year old so that he can do mental flips while big brother is in the studio doing karate kicks. She's a superstar. I wish I could be more like her. Number 2 loves the chunky dice. Lastly, I also love how even on the game "board" there are two suggestions for quick and slightly longer play. That is very helpful to kids who want to play longer and for parents who don't want to play long games. It's not necessarily a travel game but it travels very well! There is something very special about the way TENZI works. I really wish that I could hook up a person to an EEG when they are playing TENZI or maybe check endorphin levels when someone is playing it. Clearly something takes place when people start playing this game. I say, “fight tension with tension a.k.a TENZI” because this game is anything but calm and yet, there is lots of laughter with equal amounts of focus. This is a new video where we are playing TWONZI- Making twenty dice of the same number. Secondly, I can’t tell you enough how much this is a family game. People who’ve gotten this game have shared how they plan on obtaining more sets to play at not just family vacations but at family reunions! I don’t know about you but big parties sort of scare me. But a game like TENZI is quite the social scene liberator. We become so focused on winning, we forget everything including our dramas, anxieties, meltdowns, squabbles, pettiness.. you know.. all the things you see on a typical vacation. Bottomline: TENZI cuts TENsion… actually, it obliterates it. Thanks to West Side Kids, where I had purchased TENZI, for carrying such great games. Remember, when we're on family vacation, we need to also respect the need for solitude for yourself and your kids. Give kids something for that time. Solo player games can also be great when a helpful parent is watching over as he reads the paper or a book. However, I have found that if you want to just sit next to them as they play, having your face facing a screen is a turn-off for the kids. But something like knitting, coloring, even cutting your toenails is okay as long as you are unplugged. For some reason, it bugs them. And FYI, laptops are worse than tablets. Not sure why. The Lay-n-Go Lite is really lightweight! Very convenient for carrying! I have to say that I totally love the concept of the Lay-n-Go. 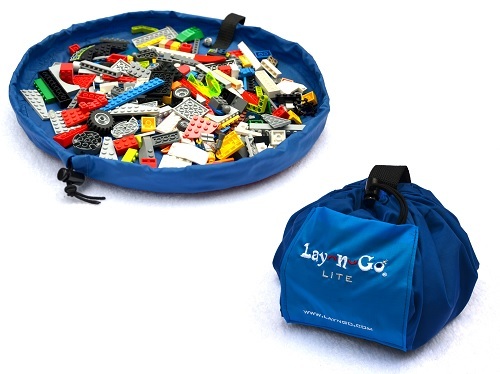 However, I didn't think much of the smaller Lay-n-Go Lite when I saw it at the Toy Fair. 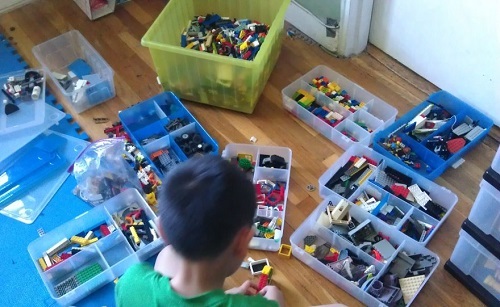 Number 1 is a voracious LEGO collector. How would he be satisfied with carrying such a few bricks around? Maybe it's just for little kids, I thought. Then I thought some more after watching my kids play for the millionth time. 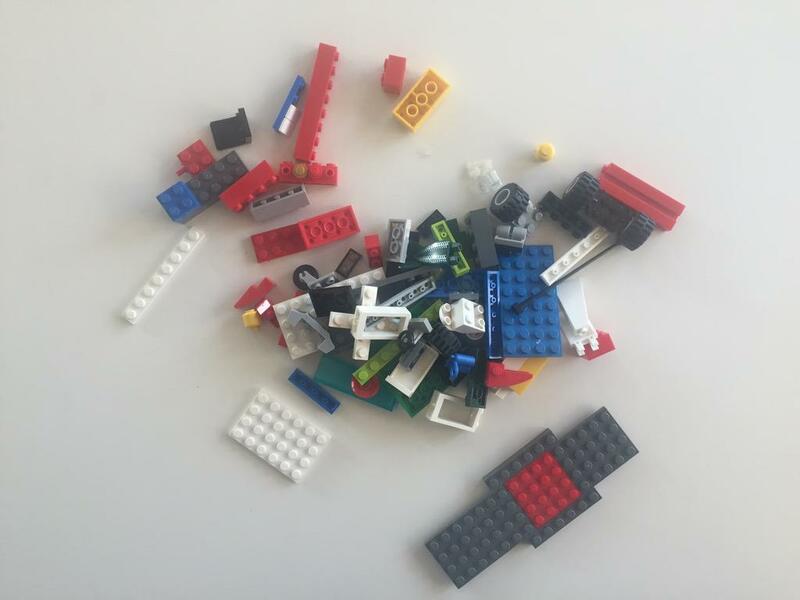 The thing is, I am right that my nine-year old son won't be satisfied with carrying a few bricks but he would be very satisfied with carrying his LEGO Hero Factory pieces around in a reliable way. He loves to build things that look militaristic- I call them "boy dolls." But until we got the Lay-n-Go Lite, he never felt the urge to bring these into our car because he knows that he loses things often. However, now he feels more secure about bringing these on our daytrips and best of all....... 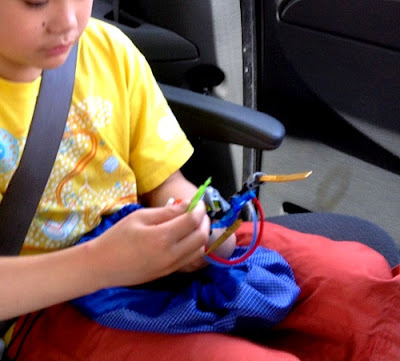 I have been able to successfully eliminate Minecraft from the car. Number 2 likes to keep his cars in the Lay-n-Go Lite too. You don't always have to put building toys in it. It can be a doll with her jackets and hair clips. A small sketchbook and crayons or even a logic puzzle with pieces like Trucky 3 or Rush Hour Traffic Jam. No more worrying about lost pieces. Gets an A+ in travel-ability. Seriously.. It's compact but none of the fun is abbreviated. I love Smart Toys and Games. Seriously, sometimes I think they made these games just for my family. Waterworld sports four different animals- Salamanders, Mudfish, Frogs, and Koi fish. To me, they are the most interesting water dwellers that could have been chosen to star in this show and what a show it is! 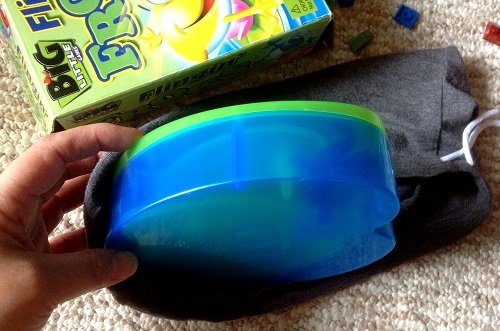 You are basically told how many of each should be showing and then you must use the magnetic plastic pieces to hide the ones that need to remain hidden. Both of my kids tried it out and while my 6 year old struggled with this, the nine year old was able to solve the hardest ones really easily. Thus this really is a game for the little guys. I love the good-quality magnetic pieces and how you can easily snap this game shut. However, what I really love most is how Waterworld asks your child to see and remember and then solve. I think the thought process may sound something like this: "Okay, I need to show two salamanders and two frogs, there is a frog here and here but not there and so this piece can go here.." Even though none of this is said out loud, being able to talk to yourself in your head is a crucial part of growing up and solving problems and following directions. You will often hear me to say to my kids, "Go to the bathroom, pick up your laundry, and get dressed, okay? Bathroom, Laundry, Dressed." Guess which three words he needs to say in his head in order to make sure he follows directions. Waterworld is a bit trickier than that but anything that promotes self-talk and problem solving is a giant step in the right direction. I love travel games that are worth playing even when you aren't traveling. There is no "regular" version of this game. It's its own thing. I can not tell a lie. I have stolen this from my child on multiple occasions. I have this test that I do with some toys called the "The NYC Subway Test." I do it mostly with travel toys. Oftentimes, all I do is hand my son a toy or game that I'm testing and then watch as others sneak peeks or rather, go into full-blown staring. People who ride the subways of New York are tired. They want to go home! 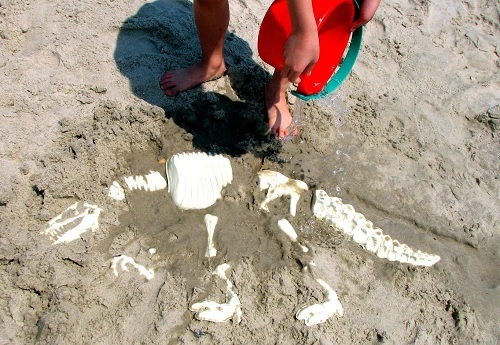 However, when a kid starts playing with something interesting, heads WILL turn. When I tested Ivan's Hinge, I had no idea what would happen. The colors are rather muted and so they are not jumping out at other people's eyes. Still, within 60 seconds of fiddling around with Ivan's Hinge, a man, who wasn't even sitting next to us, asked us what it was and then asked to take a picture so that he could buy it for his son. Needless to say, I think Ivan's Hinge has more than passed my NYC subway test. Learn to fold things in your mind as you fold things with your hands. I punched holes in the cards and hooked them up together. Of course, I did it all wrong. I need to play Ivan's Hinge more. 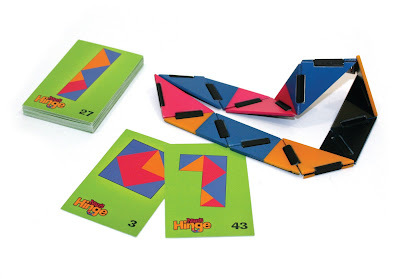 Also Ivan's Hinge offers 56 challenge cards but I have found that at least for the beginner numbers, once you solve one puzzle on the card, you have also solved the flip side of the card too. However, don't be fooled, you won't get to number 56 overnight but if you or your child has done that, YOU MUST WRITE TO ME! I want to know where this player goes to school! To further solidify my head-turning-movement theory, Number 3 was stuck in Passport Application Hell last week and she had borrowed Ivan's Hinge from me. This 14 year old had everyone in the post office staring at her play and thank goodness she had it because she was stuck there forever. And let it be said that if you have Ivan's Hinge, there will be another test. Count how many minutes it takes before you grab it out of your child's hands. I am no psychic but I will predict that you WILL SWIPE it from your kids. 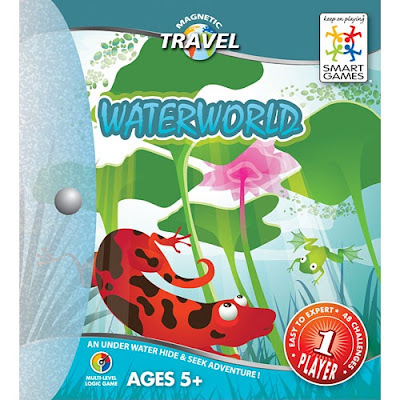 And now, win this fabuloso set of Travel Games valued over $100!!! and I am throwing in a sample pack of PicWits! just for you!!!! The actual game box is big but you can also travel with a chunk of cards in a baggie! Question of the day.... help me pick the next batch of toys and games to review. If you are Amazonian and want to support me when you shop travel games, check out my links and thanks in advance. Also note that many of these games are available in your neighborhood specialty toy stores for which I am grateful because it is so fun to buy travel games from real stores, isn't it? I bought my copy of Flingin' Frogs and TENZI from West Side Kids! Disclosure: Toys are Tools has not been compensated by the manufacturers of the mentioned products for the publication of this review. Most but not all of the review units were submitted to testers and experts to facilitate a review. The others were purchased by me or by the tester. Either way, reviews are never ever sever jever promised. you give the funnest "assignments"! I'd love to see how children like http://www.patchproducts.com/news_detail.php?content_id=1158 Chain Letters. It looks like it would be great for spelling and fine motor, but remembering how frustrated my personal children got with the Barrel of Monkeys, I think your input would help me decide whether to get it for grandson #1 and my classroom. Thanks so much for sharing your interest! I would love to see you reviev Laser maze http://www.thinkfun.com/shop/product/laser-maze,153,9.htm I love puzzle games and I think the addition of laser is awesome! 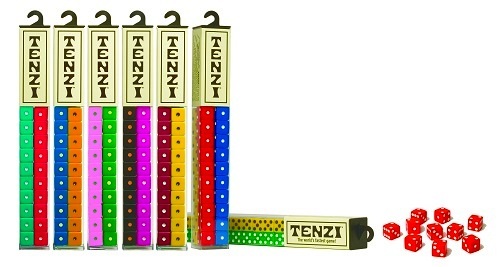 I have never played Tenzi, but it looks like so much fun! I would love a blue set. Talk about getting waylaid .... I went to the Tenzi website and saw "Free iPad app" and it was drop everything, grab the iPad and head to the app store. Okay, I can see how this could be a lot of fun....I'm sure my granddaughters would like to see pink on purple and purple on pink....for me, just about any color pip on a black die would do. Have you ever done a review of ColorKu (http://www.colorku.com/). I've been tempted to buy this but 81 marbles is a lot of marbles to keep up with! How about a review for My Lanyard Maker. We lie anything from Brainware and think fun, both fab companies. We have bought quite a few games so far this year and we love Quirkle (brainware) and rush hour (think fun) Two other games that have been a big success with my 3 and 6 year old are Haba's orchard game and Peaceable Kingdoms 'Hoot Owl Hoot"
Games and books are by far the best things children can have, not forgetting sticks, they are very popular too. I like Viking Brainstorms. I like the idea of learning about Vikings for kids. Not sure where my other comments went....but I played the iPad version of Tenzi last night and I can see how it could be addictive and so much fun....especially for someone who likes dice games. My grandaughters would love dice that were purple on pink and pink on purple. A set of red/purple and purple/red would be great for members of 'The Red Hat Society'. Have you done a review of ColorKu? 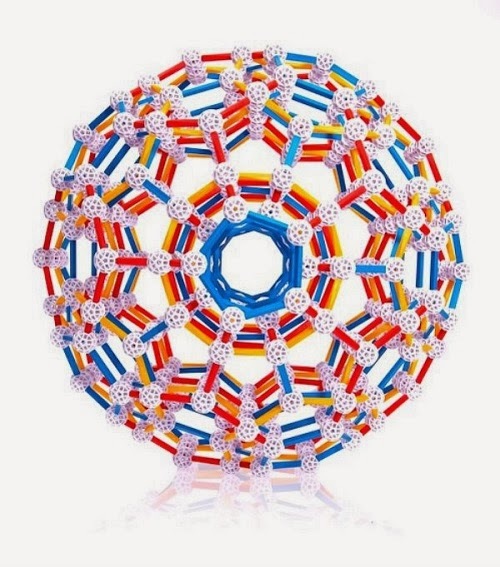 http://colorku.com/ I've contemplated buying this since I first read about it but the idea of keeping up with 81 marbles is pretty daunting. Speaking of keeping up with pieces, one of things I like best about ThinkFun games is that you can purchase replacement parts if something is misplaced. The newest toy I'm excited about is Sifteo Cubes. I won a set in an online contest but I haven't received them yet. You did a review about 6 months ago on these. I'd be interested to know if they were a short-term novelty or it they are still being played with. MIndware's 6 in 1 educational solar kit looks pretty cool. My oldest would love SmartGames' Alcatraz since be is obsessed with the island. I noticed that Fat Brain Toys sells Bristle Blocks. I didn't realize that they still made those. Are those still a hit with kids or are they outdated? I think both my boys would love Klutz Lego Crazy Action Contraptions and Hexbugs (we haven't introduced these to them yet but it's on our list to do soon). Our oldest would love the paper airplane book because he is into making paper airplanes now. We recently brought out the sun art kit (x-mas gift) and the kids loved it. It was amazing to see how creative they are! I really like the Chain Letters (http://www.patchproducts.com/product/6925). My son who is learning to spell & loves games would really enjoy this. http://www.thinkfun.com/shop/product/math-dice-powers-practice-edition,121,33.htm and the tournament version both look powerful. Mental math is so important, as is fluency with facts. 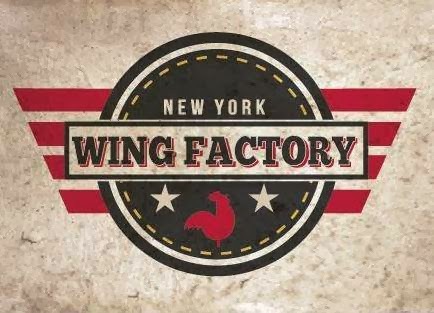 Pretty Please review? I also Love the Fifteen Puzzle; It's listed as for adults, but the old one I have in my classroom appeals to certain children. Do you agree it's for adults??? how about Really Big Words for Kids? could be fun or a major dud?